The name Leonard Bernstein evokes for many his musicals. For the composer’s 100th birthday the Münchner Motettenchor sings his electrifying and swinging Chichester Psalms. Janáček’s Glagolitic Mass, based on the old Slawonian text of the mass, combines 8-voice choirs and a virtuosic organ solo to produce monumental sound effects, interspersed with tender, lyrical episodes. Wide open, wondering eyes, happy singing kids under the Christmas tree: as in previous years the Münchner Motettenchor invites families with young children to join us in singing together in our special Christmas concert in St. Matthäus. Silent Night, Holy Night – in our annual festive Christmas concert the Münchner Motettenchor, accompanied by the brass ensemble BRASSexperience, sings the loveliest melodies for the the Advent and Christmas stories. The emphasis will be on the song Silent Night, which was heard for the first time 200 years ago and as one of the most beloved Christmas songs evokes the spirit of Christmas Night. Bach’s Johannes-Passion, which the Motettenchor sings on Good Friday in the Matthäuskirche, enthralls the listener with the dramatic depiction of the passion events. The expression of the choruses and chorales, the recitatives and arias changes between revolution and hatred, prayer and belief. The biblical happenings can be experienced as a gripping dispute between the individual and the mass. 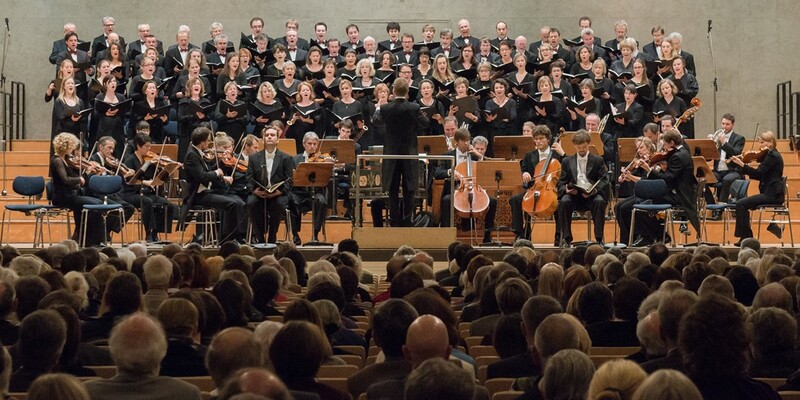 Virtuosic, many-voiced choral music in a sacred environment: with Bruckner the Münchner Motettenchor displays its abilities in the summer concert in the Matthäuskirche. In addition to the e-minor Mass for 8 voices the choir, accompanied by brass as well as a-capella, sings well-known motets such as Ecce Sacerdos and Locus Iste. After the concert the choir invites you to a summer reception, to celebrate the end of another successful season. © 2014 Münchner Motettenchor e.V.